Receiving stolen property in Ohio may be considered a major offense, depending on several factors. If you have received stolen property in Ohio, you may be facing a prison term and may have to pay a substantial fine. It is in your best interest to treat your case seriously and secure help as soon as possible. Contact Attorney Adam Burke for your free consultation at (614) 280-9122. In Ohio, if you knowingly receive, or keep and then dispose of, property that belongs to another person, then you are said to have received stolen property. This property must have been taken without the owner’s permission or knowledge. You must also have the intent to deprive the owner of the property. If the property received had a value of less than $1,000, you will be guilty of a misdemeanor of the 1st degree, which carries a maximum jail time of 6 months, and fines of up to $1,000. If the property received has a value of $1,000 to $7,500, then it is considered a felony of the 5th degree (if the property stolen was listed under section 2913.71 of the Ohio Revised Code). This carries prison time of 6 to 12 months, and fines of up to $2,500. Receiving stolen property becomes a felony of the 4th degree if the property received is a vehicle (section 4501.01), a dangerous drug (section 4729.01), if the property is valued at or between $7,500 and $150,000, or if the property is considered a firearm or another dangerous ordinance (section 2923.11). This carries a prison term of 6 to 18 months, and max fines of up to $5,000. If you have been charged with receiving stolen property, contact an experienced criminal defense attorney who will discuss the facts of your particular case and help you come up with a defense strategy. 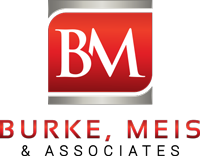 Call Burke, Meis & Associates today for you free consultation at (614) 280-9122.